People nowadays get interested in birds via digital photography and learning from online sources. New birders are digibirders! Perhaps there is an ongoing paradigm shift in birdwatching. Those were my premises for the new blogging series I have been working on some time, and which has resulted in less activity on this blog. I wanted to produce a manual to birdwatching in the digital age which approaches birding from this new entry point. As usual with the new ideas and approaches there will be those who cling harder to the old ideas. It has been a bit stormy, and perhaps some people did not understand my motives behind this. I thought that if we could lead thousands of newbies from the new and in many way natural starting point in the digital age, with the internet and the digital camera, perhaps these new digibirders could be led into the arms of the birding and naturalist organizations such as the ABA, Audubon and ABC, who do so much good and who could do with some more members. If not, the risk is that they simply would be content to be digibirders and never learn about conservation or birding ethics. Additionally, the idea was that by leading the new birders in this fashion some would eventually bloom and become really good birders, safeguarding the birding as we know it. Namely, the Art of Bird Identification. If we make an ebook, free for download and free to spread among friends, on blogs, on Facebook, Google+ and Twitter, this could have an enormous impact. If we additionally, get some well known birders behind the idea with their endorsements and perhaps writing a few chapters, the paradigm shift may also become accepted by the critics, and birding would all of a sudden become mainstream, albeit mostly with a different focus compared to listing and field skills today. If you know someone who has just started to become interested in birds or someone who you think should get into birding, do them a favor and send them this way. They will be very grateful to you. The seven first posts are intros to get some momentum to the blog. In post 8, the chapters of the forthcoming ebook and their authors were presented. Post 9 and 10 are the first two chapters which will be included in the ebook. 1. You don’t need binoculars and a field guide to start birding. You need a point and shoot camera and an internet connection. That was the essence of the first intro post. And it started a riot! In some Facebook discussions I have said I deliberately wanted to be controversial. It became a controversial statement, and perhaps that was good to gain some notion for the series. But it was not deliberately controversial, because I see this happen every day in Peru, where there is no traditional birdwatching movement. People here rather get a camera to shoot birds than binoculars to look at them to start with. Given from the comments I have seen later, it is looks like this trend is also happening in countries where there are strong birding communities, although some either don’t want to acknowledge this fact or in some way feels superior (or certainly different) to those who only takes photos with no clue. They say bird photographers are not really birders. Perhaps in the true definition they are right, but to promote birding their attitude is to self serving and will only scare away those digibirders who have the potential of becoming truly good birders in the future. 2. It used to be so hard. Before it was overwhelming to try to identify birds on your own. Now you can answers on the internet. 3. How to get a kid interested in birds and nature. Say you have kids and you really would like them to become more interested in nature, but they are more into to TV and computer games. You are tearing your hair with the potato couch kid. You read some manuals about birding, which all invariably recommend getting a pair of binoculars first of all. You have $350 to spend. Binoculars or Point and Shoot Camera? 4. Birding is easy. Birding is massive. 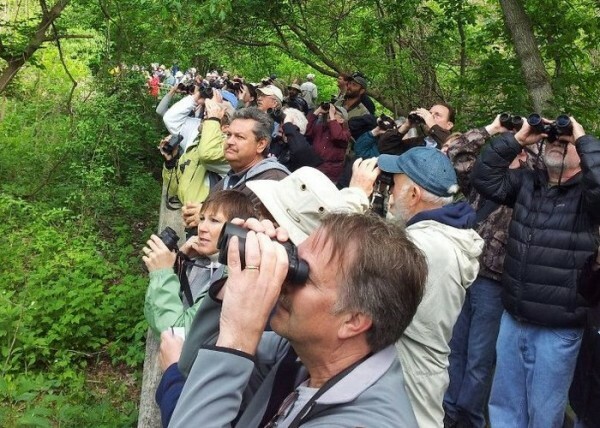 If there are 48 million people in the US who have enough interest in birds to call themselves birdwatchers according to recent national survey, why are only 0.1% included in the birding network of some 50,000 active birders. 99.9% are not engaged in the birding movement. Maybe we are doing something wrong? Or at least we could do something better. 5. Why birds, why not bug or mushrooms? Short post praising the diversity and the beauty of birds. 6. Digital Photography. The nature watching revolution. There is no doubt that it is digital photography which has brought the change of paradigm on to us. Where will it go from here? What does it mean for nature watching clubs? 7. The rewards of birding. How do you measure the success as a birder. Listing milestones or likes and shares for a photo of Facebook? 8. The Birding 101 ebook layout. Here is the plan and the authors presented so far. The include so far Kenn Kaufman, Richard Crossley, Ted Eubanks, Robert Mortensen, Grant McCreary, Tony Gallucci, Carole Brown, Stephen Ingraham, Drew Weber, Christopher Wood and Mike Parr. Many more shall be added. 9. Birding resources on the web. There are field guides available on the web. Both for newbies and more advanced birders. If you still can’t figure out which bird you photographed, then you can upload it to a number of sites. It will usually only take a couple of minutes before you have an answer. This is the first chapter in the ebook. 10. Birding with a point and shoot camera. Excellent article by Stephen Ingrahem going through what you should look for as birder when you shop for a point and shoot camera. Chapter 2 in the ebook. There you go. Hope this is useful for you. How will birdwatching be 10 years from now? You are invited to a Google Hangout, which is like a webinar, where we shall discuss how birdwatching will be 10 years from now? Birding 101 contributors Gunnar Engblom and +Robert Mortensen gave a live chat on Gunnar’s Google+, Youtube channel and on both Birding 101 blog as well right here. UPDATE: This is the edited recorded session between Robert Mortensen and Gunnar Engblom. Unfortunately, Gunnar’s laptop overheated again and the session was broken pre-maturely. The last question which Robert started answering. Should the membership organizations, such as the ABA actively try to recruit from the new huge group of people who got into birds via digital photography, or should they remain as an organization principally geared towards those who are interested in the fine (somewhat “intellectual”) art of bird identification? Next Google Hangout will take place on Thursday at 8 pm Eastern time. Join us, then. Photographer Max Waugh, who was with us on the Marvelous Spatuletail Display Tour in January 2012, actually sent me a bunch of pictures from North Peru, apart from the Marvelous Spatuletail shots I posted in the last blogpost. Additionally, Alex Durand came back from two North Peru trips practically in a row with loads of great shots. So just to remind you (hint, hint) of 17 good reasons to sign up for a North Peru trip, here is a North Peru Bird bestiary. 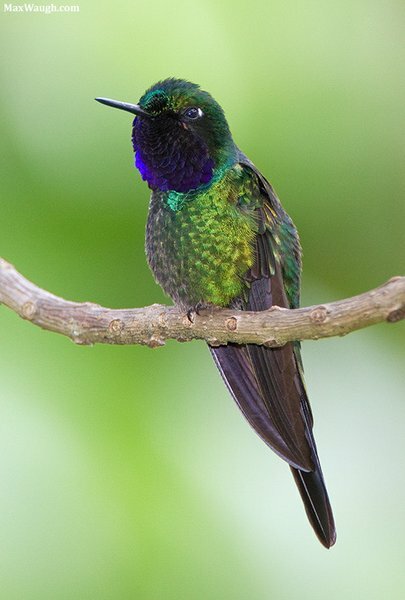 Although, the Sparkling Violetear is very common through-out the Andes, it is a magnificent and very photogenic hummer. Photo: Max Waugh. 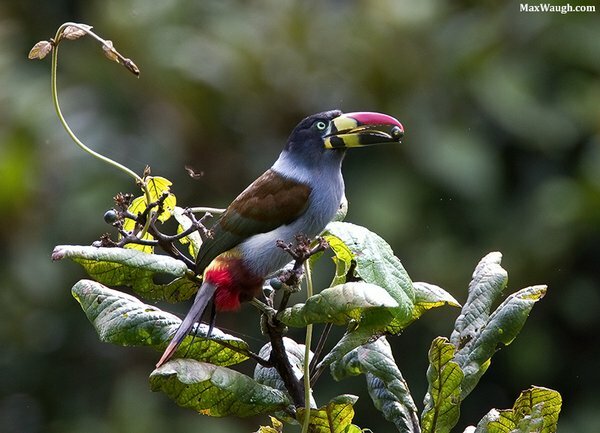 Gray-breasted Mountain-Toucan is a spectacular bird. We usually find it near Leimebamba. 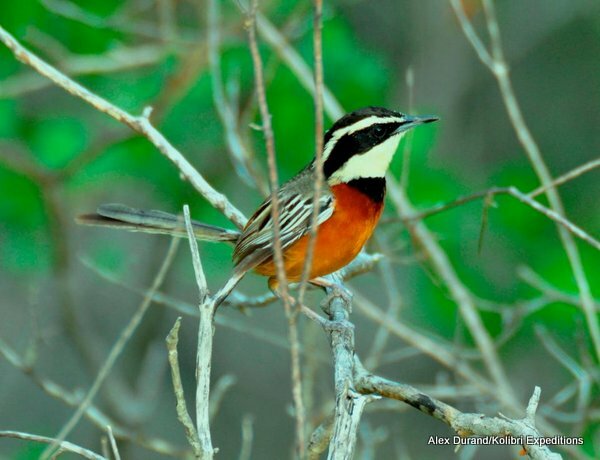 Crescentchests belongs to the Tapaculo family. They are very colorful. 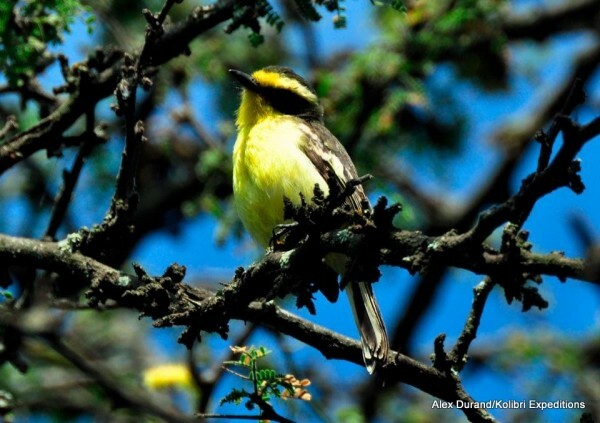 The Marañon Crescentchest is practically endemic to Peru, although it has recently been found across the Ecuadorian border at Zumba. It differs from Elegant Crescentchest of the West slope, which we also see on the North Peru trips, by prominent white markings in the wing and richer orange below. 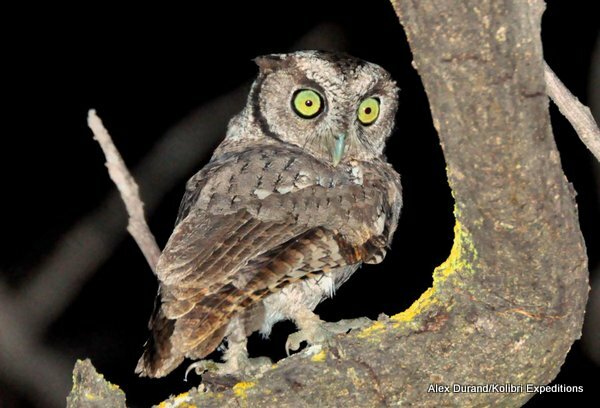 The Peruvian Screech-owl Otus roboratus consists of two subspecies roboratus of the Marañon valley and pacificus in woodlands on the Peruvian and Ecuadoran west slope of the Andes. Here is pacifcus, which is much smaller than roboratus, photographed at Chaparri Eco Lodge by Alex Durand. 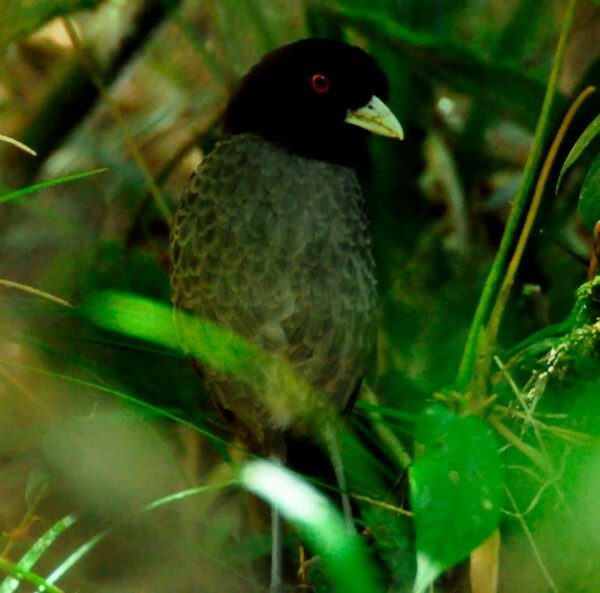 Tumbes Tyrant is a pretty and active little tyrant closely related to Chat-tyrants. It is endemic to the Tumbesian region and has only recently been recorded in Ecuador on the boarder to Peru. We often see it at Chaparri or the White-winged Guan site called Quebrada Frejolillo. Photo: Alex Durand. 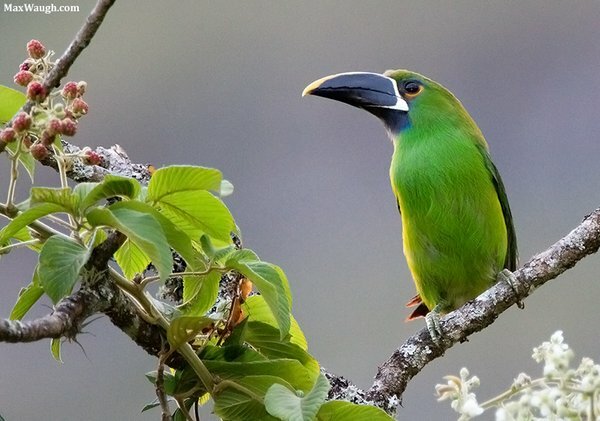 Emerald Toucanet is sometimes regarded as 7 species The form in Peru belongs to Black-throated Toucanet Aulacorhynchus (prasinus) atrogularis. Photo by Max Waugh. 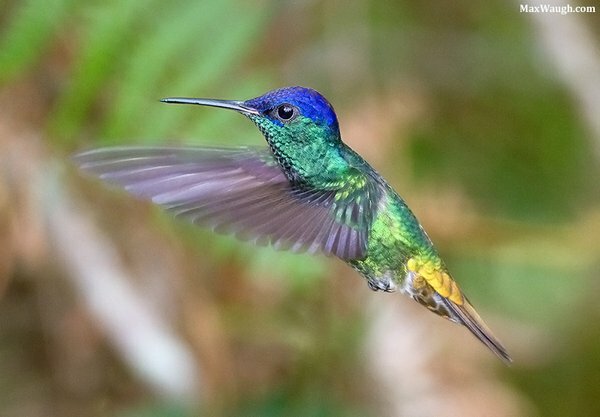 Purple-throated Sunangel is another lovely hummingbird from North Peru. Perhaps it is easiest to see in Leimebamba at the feeders of KentiKafé. But it can also be seen around Pomacochas. Photo: Max Waugh. 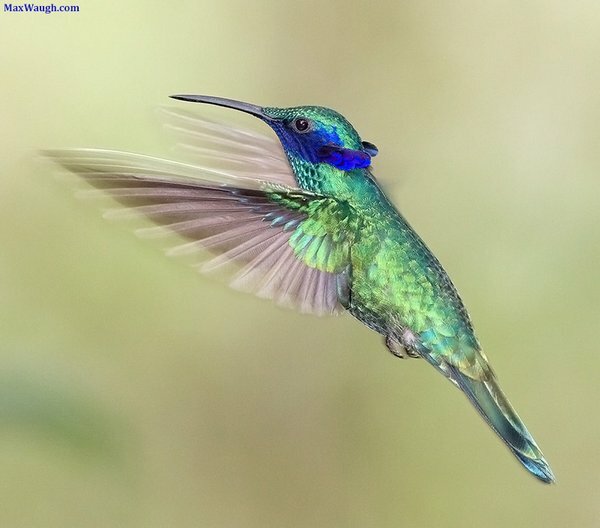 This beautiful Golden-tailed Sapphire is photographed at Wakanqui near Moyobamba. Up to 18 species of Hummingbirds visit the feeders. It is truly spectacular. Photo: Max Waugh. 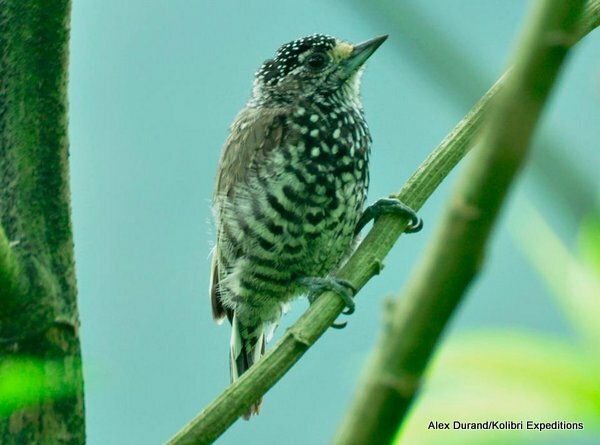 Piculets are diminutive small woodpeckers. And they are cute! 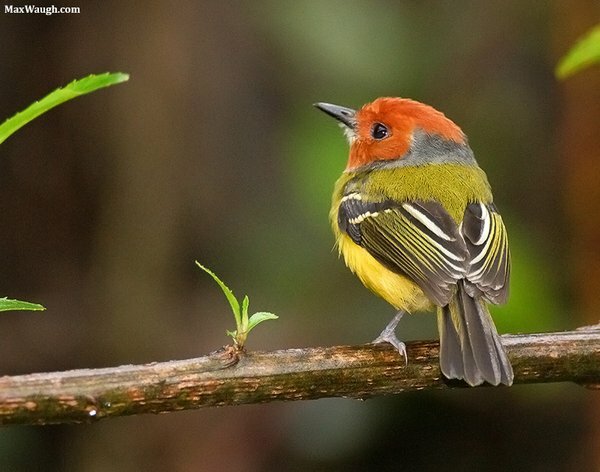 North Peru has 3 species which are regularly seen, but sometimes hard to photograph. Alex Durand manage to photograph all three. Here is the Ecuadorian Piculet which we usually see at the White-winged Guan spot near Olmos. 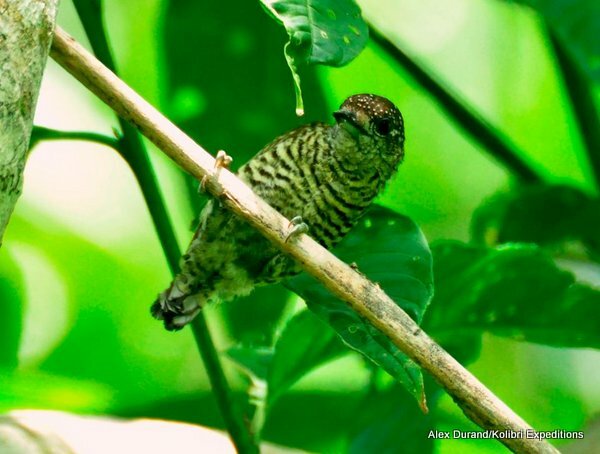 The Speckle-chested Piculet has a very small range. It is endemic to Amazonas and San Martin departments in Peru. It is often seen at Afluentes near Abra Patricia, but it seems even more common along the Utcubamba river between Pedro Ruiz and Leimebamba. Here are photos of both male and female. Photos: Alex Durand. 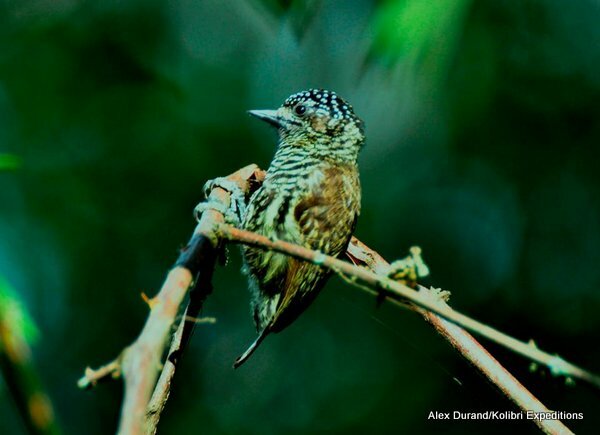 Lafresnaye’s Piculet can be found near Tarapoto. 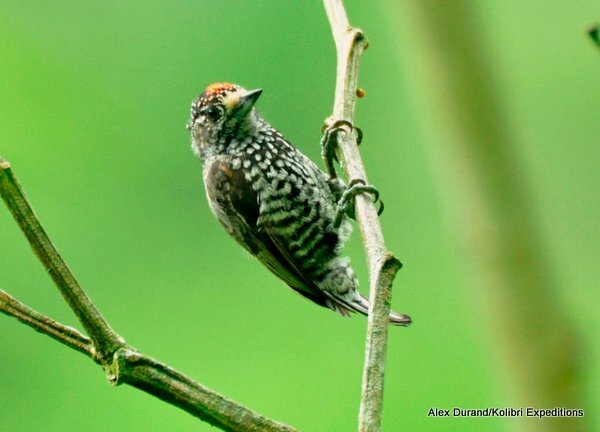 It is a lowland piculet and is quite common in the northern Amazon. Photo: Alex Durand. 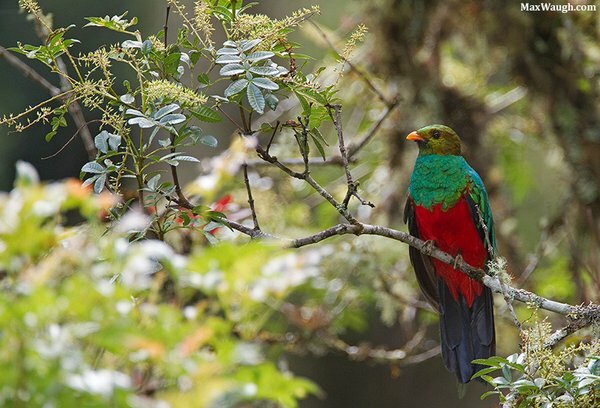 Some non-birders find it a bit surprising that there are Quetzals also in South America. They are just not Resplendent like in Costa Rica. There are three species in Peru. Two in the highlands and one in the lowland. Of the highland ones, the Golden-headed Quetzal is the most common. Photo: Max Waugh. 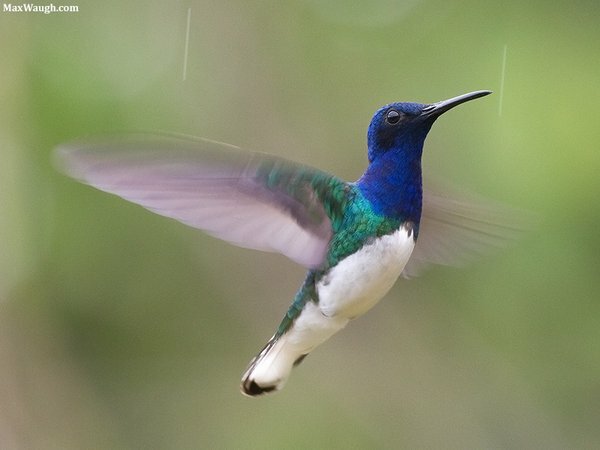 White-necked Jacobin is a quite common Hummingbird in many parts of South America. It is nonetheless still a splendid species. This shot was taken at Wakanqui near Moyobamba. Photo: Max Waugh. Pale-billed Antpitta is perhaps one of the most enigmatic Antpittas in Peru. It used to be very difficult. Now however it is staked out above on Rio Chido headland near San Lorenzo – not far from Pomacochas. It lives in dense Chusquea bamboo patches. Photo: Alex Durand. 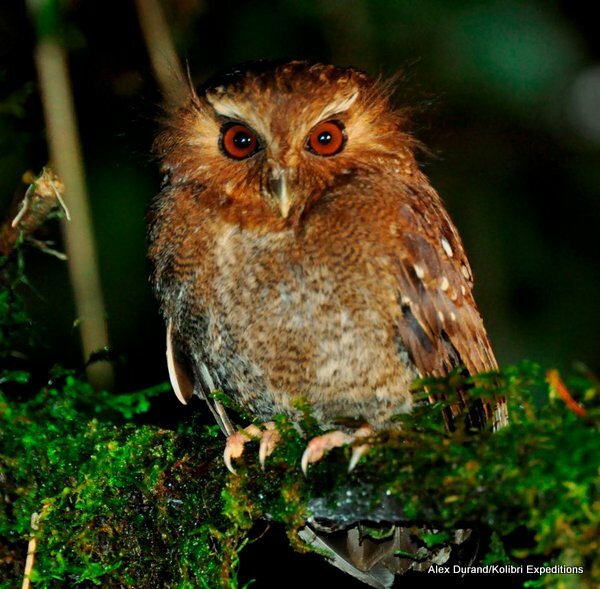 Perhaps the most spectacular and the most enigmatic of all South American Owls. This was a bird which after its discovery in the seventies was not seen in the field by birders until 2007. Now it is regularly seen at the Owlet Lodge at Abra Patricia. Photo: Alex Durand. If you liked this post, don’t forget to subscribe to my feed above or our newsletter. And I love comments. Please feel free to share the posts via email, or on Facebook, Google plus and Twitter. Check the sharing options below. Jason Kessler is back with a new funny video for birders to laugh at.